We are a local business and where possible, you will be serviced by a member from your local community. All our people are security screened and insured. We guarantee our workmanship and use only products and cleaning methods that are time proven, tested and safe. We can tailor a regular cleaning package or look after that one off clean to take the stress out of maintaining your property. Cleaning, Mowing, Carpets and even take that rubbish away for you. We work on a similar checklist as the bond cleaning but also include dusting and wiping down furniture, fridges, microwaves etc. 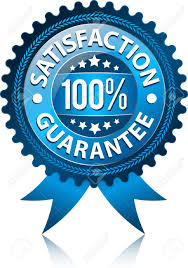 We understand what is required to get your hard earned money back, that's why we guarantee 100% that your bond clean will be perfect. Our highly trained experienced team know what to look for and follow a check list for every property to ensure nothing is missed. First impressions are very important, so you should never overlook the need for high standards of cleanliness at your commercial premises. Visitors often judge you on your company image and your staff deserve to work in a clean, healthy and hygienic environment. We can schedule our team of highly trustworthy and experienced cleaners to work in with your business hours to help maintain that professional image that your customers expect. Let us help get your weekends back to enjoy. We can give the yard a quick mow or tidy up those overgrown gardens. Garden clean ups are great for tenants moving out of a rental property or property owners wishing to attract tenants! We can tailor a garden care program to suit your garden’s needs or simply provide a once off visit. We provide these services to both domestic & commercial clients. We absolutely love these guys! Our first experience with them was a bond clean, then a commercial kitchen clean, and now we're stoked to welcome them back into our home every fortnight. Their service is incomparable and they are just the SWEETEST people! Absolutely stoked with these guys. Impeccable work and big smiles every time. Highly recommended beyond words. Best bond clean I have ever seen. Friendly and reliable.! Will now use continuous cleaning every time.! Thank you so much! We provide the highest quality and attention to detail on all cleaning jobs. We are fully insured and all of our team are police checked prior to joining us.